PBS Biotech, a Camarillo-based startup, is bringing its first products to market. Michael Choi, a mechanical engineer at PBS Biotech in Camarillo, assembles a disposable lining for one of the firm’s bioreactors. (Stephen Nellis photo). PBS Biotech, a Camarillo-based startup co-founded by a former Amgen scientist, is bringing its first products to market. PBS makes a line of what are known as disposable bioreactors, a simpler and less costly alternative to the stainless steel tanks that biotechnology companies use to grow cells and make medicines. The firm was founded after hundreds of employees were laid off at Thousand Oaks-based Amgen, the world’s largest biotechnology firm, and has been funded with a $250,000 loan from the Economic Development Collaborative-Ventura County, or EDC-VC, as well as private investor backing. PBS is focused on bioreactors, the equipment biotechnology firms use to grow cells in a vat of liquid. A typical bioreactor is made of stainless steel and has to be painstakingly cleaned between runs of cells. The PBS version uses a disposable plastic lining that is sterilized by gamma rays during manufacturing and saves on costs, CEO Brian Lee told the Business Times. But Lee, who holds a doctorate and who worked in bioprocess engineering at Merck & Co. for 13 years and at Amgen for five years, said the PBS bioreactor is also gentler on the cells it grows. Where conventional bioreactors work like an old-style milkshake mixer to stir up the cell culture, the PBS version uses what looks like a reverse water wheel to keep things moving. A bubble of oxygen or other gases — which are already required to keep the cells fed — turns a submerged wheel. The U.S. Department of Defense thinks similarly. It provided a grant of about $750,000 to PBS Biotech to help the firm develop its products. Lee said the Defense Department is interested in the disposable bioreactor industry because portable versions could be used for an emergency response to bioterrorism at home and biological weapons attacks on U.S. troops abroad. “I was invited to the Pentagon to brief the Honorable Andrew Weber,” the assistant secretary of defense for nuclear, chemical and biological defense programs, Lee said. “Even the federal government has started to pay attention to this. It’s really a matter of when, not if” the federal government embraces the industry. For the past two years, PBS has been perfecting its line of bioreactors and the software that runs them, which it wrote from the ground up. The lineup includes units that range from a three-liter tabletop mixer aimed at labs and biotech startups to 2,500-liter machine that would stand 9 feet tall and be used for high-volume production runs. That model is due out next year. Bruce Stenslie, the CEO of EDC-VC, said PBS’ potential for sales to different biotechnology market segments played into why EDC-VC found the young company creditworthy. PBS sees a potentially large market in makers of so-called biosimilars, which are the biotech equivalent of generic drugs. Because biotech medicines usually employ huge, complicated molecules, competitors can often change a few small pieces of it and have a drug that works nearly as well as the original from a company like Amgen or Genentech. Those competitors can also use an expedited FDA process for drug approval — but they must supply their own data, and generating those clinical trial numbers is the costliest part of the process in bringing about a drug. 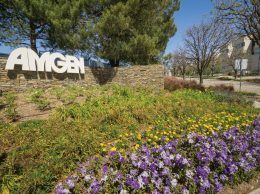 Amgen and other biotech firms fought hard to keep their data exclusive, but in the end the U.S. Congress settled on 12 years of data exclusivity for Amgen and other makers. The end result is that there will be a wave of cheaper biosimilars entering the market in coming years, and PBS is hoping to sell to those companies. After 30 years of rapidly introducing new treatments, “the biotechnology market is changing,” said Jim Schultz, the vice president of sales and development at PBS. “All of those drugs are coming out of patent. There’s global demand” for cheaper biosimilars, he said. 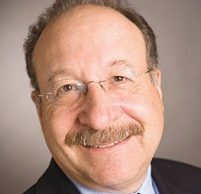 While PBS has received strategic investments from some large biotech players whose names he can’t disclose, Schultz said the firm is looking to raise additional funding. It wants to rapidly expand its staff of 12 employees and double its current 4,000-square-foot space, which houses both development and manufacturing. “We need that fuel for inventory and people to take our products to market,” Schultz said. Life as the co-founder of a small startup company is a big change of pace for Lee, who spent his entire career in much larger firms – Amgen has 17,400 employees – after obtaining his Ph.D. But founding a company also puts Lee in charge of his own destiny in a way that’s not possible working for a blue chip ticker symbol.